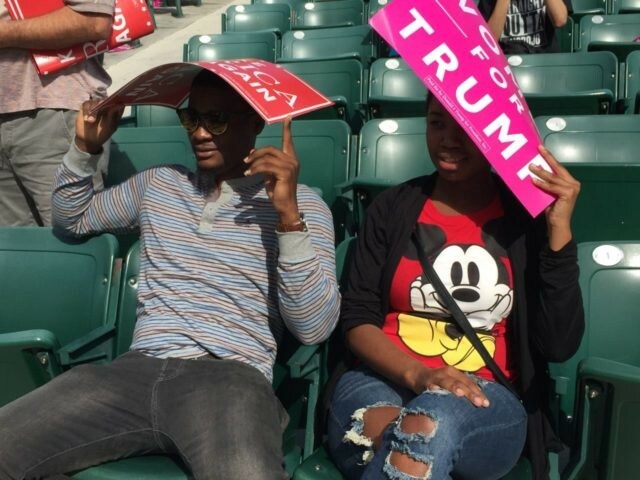 MIAMI, Florida — Haitian-Americans at a rally for Republican presidential nominee Donald Trump at the Bayfront Park Amphitheater on Wednesday told Breitbart News that they were furious at Hillary Clinton for her corruption in Haiti. Yves, 25, came from nearby Fort Lauderdale to attend the noontime rally. He told Breitbart News that Hillary Clinton had turned Haiti into a “mess,” and that corruption was the most important issue for him in the 2016 election. Shielding his face from the blazing noonday sun in 80-degree-plus weather, Yves said that “honesty” is what inspired him to come to the rally. His fiancée, Schedeline, told Breitbart News that she was still undecided in 2016 — and that she had once been a Clinton voter. “What changed my mind was the corruption in Haiti. The Clintons — they destroy Haiti,” she said. She was, however, still skeptical about Trump. The Clintons’ corruption in Haiti was first documented by Breitbart editor Peter Schweizer in the bestselling 2015 book, Clinton Cash: The Untold Story of How and Why Foreign Governments and Businesses Helped Make Bill and Hillary Rich. 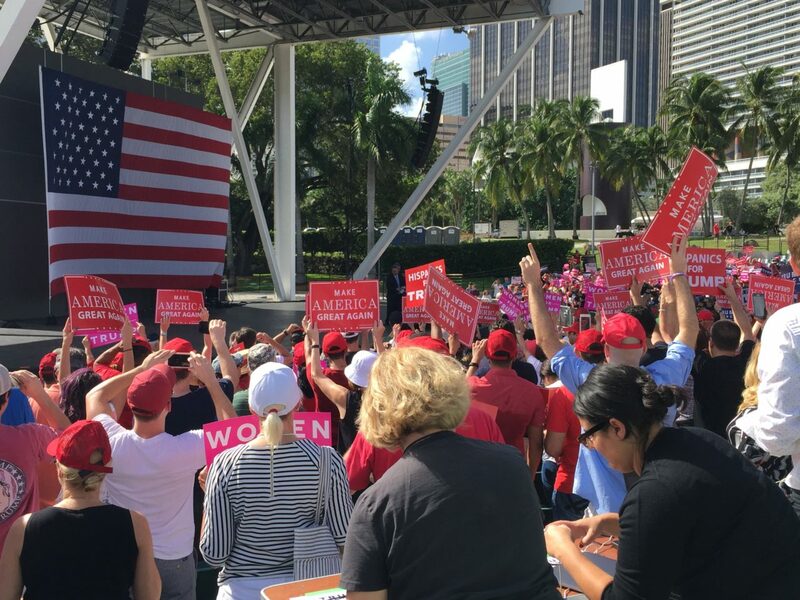 Thousand turned out for the rally, which is the first of four stops the Trump campaign will make across the Sunshine State over the next 24 hours. Trump is also scheduled to speak Wednesday afternoon in Orlando; Wednesday evening in Pensacola; and Thursday at noon in Jacksonville. Florida remains a key battleground state in the race for the presidency, and one of the biggest prizes in the Electoral College, with 29 votes. The state was the site of the divisive 2000 recount that saw George W. Bush elected to the White House despite losing the popular vote.